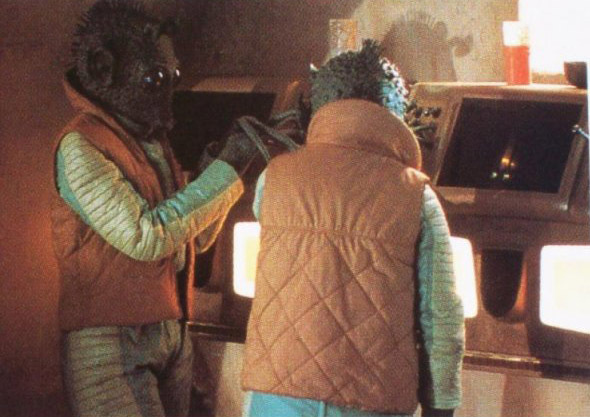 The screen credit for playing Greedo goes to an actor called "Paul Blake". I'm not judging anybody here but I can't help but wonder if the shoes are actually part of the costume. Because if they are, it's genius. Like many others in the original Star Wars trilogy, this character was designed by the legendary Stuart Freeborn and was actually a modified version of one of his previous creations. 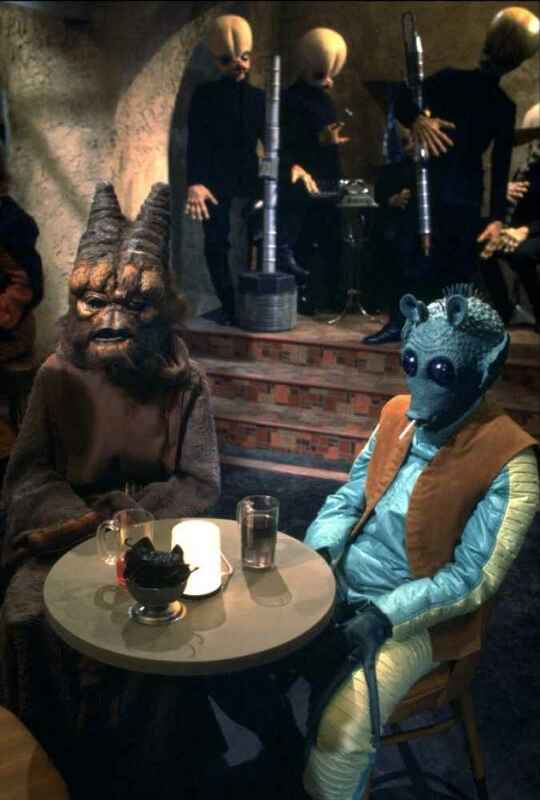 The character on the left is his "Pea pod Alien" from an old TV commercial which was modified to become Greedo. 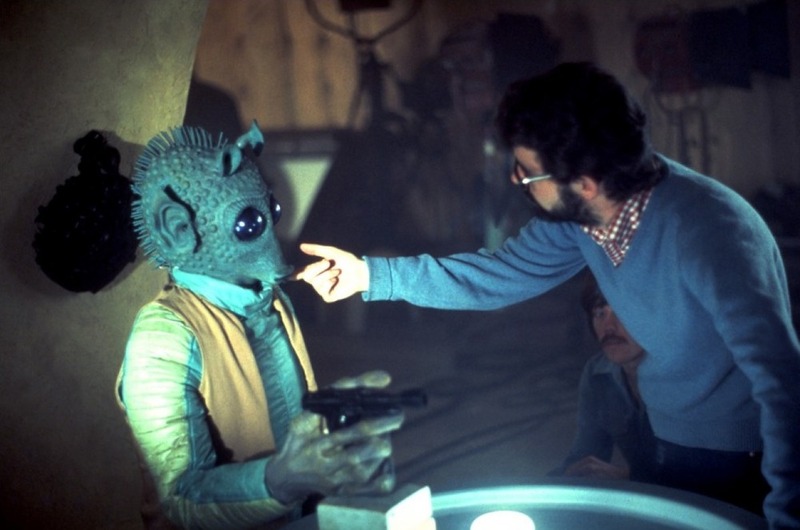 If you look closely at the image above you can see a cigarette hanging out of Greedo's mouth. Good luck getting a spark off a lighter with those weird long fingers. 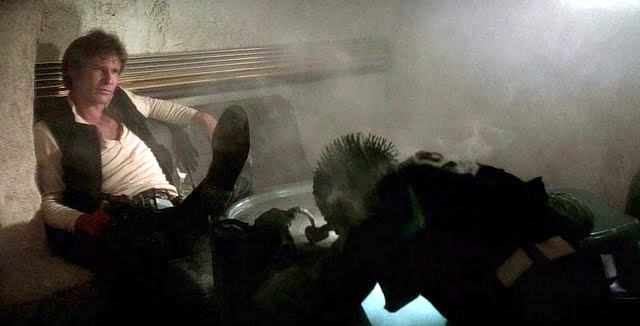 My final word on this whole thing: Han shot first.